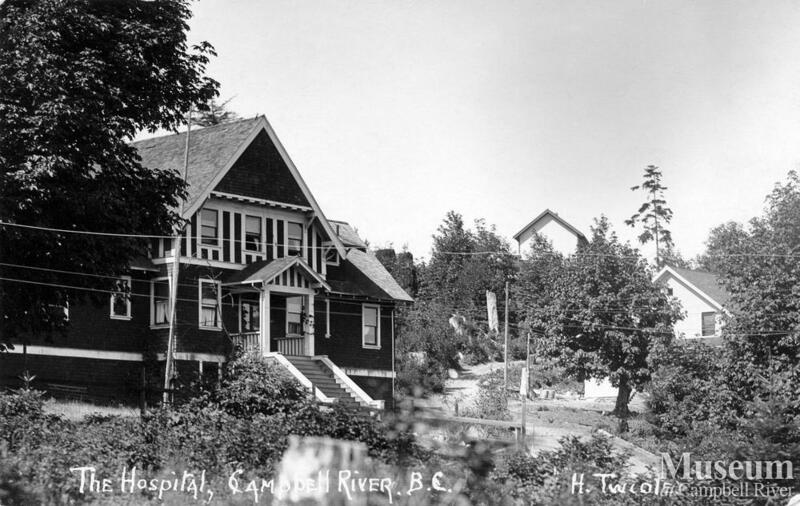 The original Lourdes Hospital at Campbell River, BC, built in 1914. Another portion was built on in 1929, and later used as the village offices before being demolished in 1960. 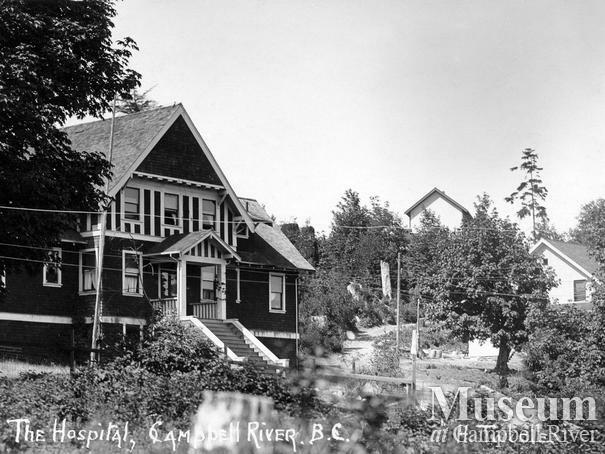 The house at the right side of photograph was an old nurse's home, and the building just glimpsed over the trees may be Campbell River's first school?